Pokemon is a 17-year old franchise, and flagship of Nintendo's first party titles, that has relied on the same formula since its inception. While the policy to "not fix what isn't broken" has certainly been successful for the Pokemon franchise, each new generation has brought with it new wishes from fans on how to make the Pokemon experience more personal, and how to improve the overall presentation. After 17 years, X and Y are now the quintessential and refined entries in the Pokemon franchise. Although the formula remains the same, this new experience is absolutely unparalleled. 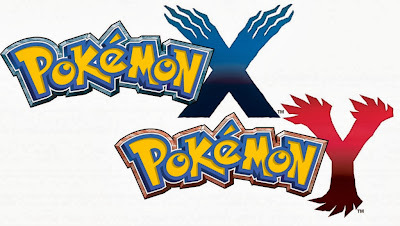 X and Y begin as all Pokemon adventures do, with the protagonist having just arrived at a new home in a new region, before being handed a Pokemon partner, a digital encyclopedia and sent off on an adventure. Right off the bat, veteran players will notice subtle changes in start of this adventure. For instance, rather than having one rival character, you have four friends who accompany you on your Pokemon journey. Each of these friends has different goals and ideals, and this is one of the things I came to appreciate most about X and Y. The diversity in friends represents the diversity of people playing Pokemon. Some are determined to conquer the Elite Four and become Champions, some are on a journey to complete the Pokedex, while others are simply going around the world to have a good time and make friends. X and Y is an inclusive adventure that allows for all of these goals to occur. X and Y has over 450 Pokemon available in the pre-Elite Four Pokedex, more than in any other region. Surprisingly, very few of these 450 are new Pokemon, and many of them are drawn from previously explored regions in the Pokemon universe. This creates a wonderful experience combining nostalgia and new adventures. For example, in this game, you get to choose two starter Pokemon: one from the new generation, and either Bulbasaur, Charmander, or Squirtle from the original Red/Blue games. The three new starters from the Kalos region! Each has its own strengths and weaknesses, and will prove an invaluable ally. Perhaps the greatest strength of this new generation is the completely overhauled visual presentation, brought to life by the Nintendo 3DS. Despite the fact that the overworld cannot be displayed in 3D, the environments of the game look incredible. I would frequently get lost in the various routes and cities within the Kalos region, just to marvel at a shimmering river or softly falling snow, while spellbound by the music. Battles looks incredible as well, with each Pokemon now having been rendered in 3D, and each displaying unique attack and idle animations. For the first time, I feel as though Pokemon are creatures truly brought to life. 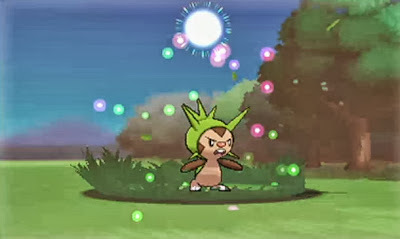 Chespin prepares to launch a powerful Solar Beam attack! The plot of X and Y is relatively straightforward, and provides an engaging 35 hour experience before opening up to post-game contact. I really enjoyed my struggles to thwart the ambitions of Team Flare, all the while obtaining Gym Badges and preparing to take on the Elite Four. The plot is one of the most well-developed in the series, but does suffer from some minor pacing issues. I easily spent the largest percentage of my adventure between the first three Gyms, and then I quickly reached the fourth through seventh Gyms in almost immediate succession. Suddenly finding myself near the end of the game was a rather jarring experience, and I felt somewhat cheated as the plot rushed through several new environments in short succession. However, some of the greatest strengths of X and Y are its new mechanics that provide the player with whole new ways to delve into the Pokemon world. 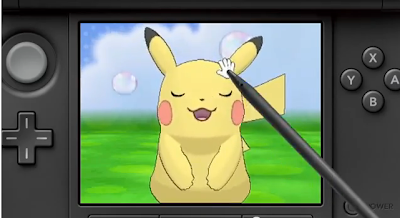 Arguably the most popular of these is Pokemon-Amie, which allows you to pet and play with your Pokemon directly, using the touch screen of the 3DS as an interface. This function has plenty of appeal simply as a cute little mini-game, but playing with your Pokemon has some amazing effects in battle. Some of these effects are superficial, such as changes in the text when you send a Pokemon into battle. At one point in my adventure, however, one of my team members survived an otherwise fatal attack with one HP left, and I was informed that the Pokemon toughed out that attack simply because it loved me too much to disappoint me. It was the first time a Pokemon game has ever made me cry. In X and Y, it is easier than ever to connect with friends in the Pokemon universe. Trading and battling with complete strangers can be done within minutes after obtaining your starter Pokemon, and that interconnectivity makes X and Y a uniquely collective experience in the Pokemon franchise. This installment has also revolutionized the competitive meta-game, with the new Fairy type balancing out previous type advantages, and the Effort Values of each Pokemon now directly visible and under the player's control. That is not to say that this experience is perfect. Aside from the pacing issues, I found that X and Y removed some of the challenge of Pokemon. New experience mechanics, such as capture experience and the revamped Experience Share item make gaining levels require little to no effort on behalf of the player. Without grinding to level up my Pokemon, or EV training, I almost immediately found myself with significant level advantages over AI trainers and Gym Leaders. Even the Elite 4 and Champion of the Kalos region were easy to defeat without breaking a sweat. That lack of challenge definitely takes something away from the experience of veteran players, while making X and Y more inclusive to a new generation of Pokemon fans. Overall, however, X and Y provide an experience and presentation unmatched by any of the previous Pokemon generations. Whether you've been a fan of Pokemon since the days of Red and Blue, or whether you're entering the franchise for the first time, X and Y is an essential addition to your gaming library.